SnowMan Snow Machine Rentals in Dallas Tx. 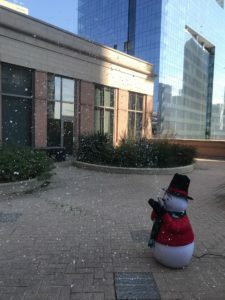 Snowman Snow Machine Rentals in Dallas Tx. 214-484-2489. 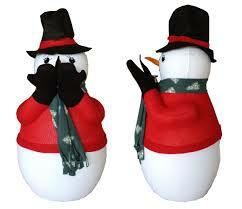 Dallas Snowman Snow Machine Rentals, Rent a Snowman machine in Dallas Tx. The Amazing Snowman Snowfall machine is almost 3 FEET TALL and turns your indoor or outdoor event into a Winter Wonderland by shooting realistic snowflakes 15 to 20 feet into the air. Dazzle your friends and neighbors at parties, winter and holiday events, on parade floats and in stage productions with our snow making machine. Electrical requirements: 10 amp, 110v circuits per machine. Give us a call 214-484-2489 to help you choose the right Snowman Machine Rental in Dallas for your special event in the Dallas Tx DFW area. We deliver to the following cities : Dallas Tx., Plano Tx. , Prosper Tx., Addison Tx., Balch Springs Tx., Carrollton Tx., Cedar Hill Tx., Cockrell Hill Tx., Coppell Tx., Dallas Tx., DeSoto Tx., Duncanville Tx., Farmers Branch Tx., Ferris Tx., Frisco Tx., Garland Tx., Glenn Heights Tx., Grand Prairie Tx., Grapevine Tx., Highland Park Tx., Hutchins Tx., Irving Tx., Lancaster Tx., Lewisville Tx., Mesquite Tx., Richardson Tx., Rowlett Tx., Sachse Tx., Seagoville Tx., Sunnyvale Tx., University Park Tx., Wilmer Tx. and Wylie Tx.